You are browsing the archive for Labs. Open Knowledge International (OKI) recently coordinated a two-day work sprint as a way to touch base with partners in the Open Data for Tax Justice project. Our initial writeup of the sprint can be found here. Phase I of the project ended in February 2017 with the publication of What Do They Pay?, a white paper that outlines the need for a public database on the tax contributions and economic activities of multinational companies. The overarching goal of the sprint was to start some work towards such a database, by replicating data collection processes we’ve used in other projects, and to provide a space for domain expert partners to potentially use this data for some exploratory investigative work. We had limited time, a limited budget, and we are pleased with the discussions and ideas that came out of the sprint. One attendee, Tim Davies, criticised the approach we took in the technical stream of the sprint. The problem with the criticism is the extrapolation of one stream of activity during a two-day event to posit an entire approach to a project. We think exploration and prototyping should be part of any healthy project, and that is exactly what we did with our technical work in the two-day sprint. Reflecting on the discussion presents a good opportunity here to look more generally at how we, as an organisation, bring technical capacity to projects such as Open Data for Tax Justice. Of course, we often bring much more than technical capacity to a project, and Open Data for Tax Justice is no different in that regard, being mostly a research project to date. In particular, we’ll take a look at the technical approach we used for the two-day sprint. While this is not the only approach towards technical projects we employ at OKI, it has proven useful on projects driven by the creation of new databases. We highly value the replication of processes and the reuse of tooling across projects. Replication and reuse enables us to reduce technical costs, focus more on the domain at hand, and share knowledge on common patterns across open data projects. In terms of technical capacity, the Product Team is becoming quite effective at this, with a strong body of processes and tooling ready for use. This also means that each project enables us to iterate on such processes and tooling, integrating new learnings. Many of these learnings come from interactions with partners and users, and others come from working with data. In the recent Open Data for Tax Justice sprint, we invited various partners to share experiences working in this field and try a prototype we built to extract data from country-by-country reports to a central database. It was developed in about a week, thanks to the reuse of processes and tools from other projects and contexts. When our partners started looking into this database, they had questions that could only be answered by looking back to the original reports. They needed to check the footnotes and other context around the data, which weren’t available in the database yet. We’ve encountered similar use cases in both OpenBudgets.eu and OpenTrials, so we can build upon these experiences to iterate towards a reusable solution for the Open Data for Tax Justice project. By doing this enough times in different contexts, we’re able to solve common issues quickly, freeing more time to focus on the unique challenges each project brings. We think that data provenance, and reproducibility of views on data, is absolutely essential to building databases with a long and useful future. What exactly is data provenance? A useful definition from wikipedia is “… (d)ata provenance documents the inputs, entities, systems, and processes that influence data of interest, in effect providing a historical record of the data and its origins”. Depending on the way provenance is implemented in a project, it can also be a powerful tool for reproducibility of the data. Most work around open data at present does not consider data provenance and reproducibility as an essential aspect of working with open data. We think this is to the detriment of the ecosystem’s broader goals of seeing open data drive social change: the credible use of data from projects with no provenance or reproducibility built in to the creation of databases is significantly diminished in our “post truth” era. Our current approach builds data provenance and reproducibility right into the heart of building a database. There is a clear, documented record of every action performed on data, from the extraction of source data, through to normalisation processes, and right to the creation of records in a database. The connection between source data and processed data is not lost, and, importantly, the entire data pipeline can be reproduced by others. We acknowledge that a clear constraint of this approach, in its current form, is that it is necessarily more technical than, say, ad hoc extraction and manipulation with spreadsheets and other consumer tools used in manual data extraction processes. However, as such approaches make data provenance and reproducibility harder because there is no history of the changes made or where the data comes from, we are willing to accept this more technical approach and iterate on ways to reduce technical barriers. We hope to see more actors in the open data ecosystem integrating provenance and reproducibility right into their data work. Without doing so, we greatly reduce the ability for open data to be used in an investigative capacity, and likewise, we diminish the possibility of using the outputs of open data projects in the wider establishment of facts about the world. Recent work on beneficial ownership data takes a step in this direction, leveraging the PROV-DM standard to declare data provenance facts. In OpenSpending, OpenTrials, and our initial exploratory work on Open Data for Tax Justice, there is an overarching theme to how we have approached data work, user stories and use cases, and co-design with domain experts: “centralise data, decentralise views”. Building a central database for open data in a given domain affords ways of interacting with such data that are extremely difficult, or impossible, by actively choosing to decentralise such data. Centralised databases make investigative work that uses the data easier, and allows for the discovery, for example, of patterns across entities and time that can be very hard to discover if data is decentralised. Additionally, by having in place a strong approach to data provenance and reproducibility, the complete replication of a centralised database is relatively easily done, and very much encouraged. This somewhat mitigates a major concern with centralised databases, being that they imply some type of “vendor lock-in”. Views on data are better when decentralised. By “views on data” we refer to visualisations, apps, websites – any user-facing presentation of data. While having data centralised potentially enables richer views, data almost always needs to be presented with additional context, localised, framed in a particular narrative, or otherwise presented in unique ways that will never be best served from a central point. Further, decentralised usage of data provides a feedback mechanism for iteration on the central database. For example, providing commonly used contextual data, establishing clear use cases for enrichment and reconciliation of measures and dimensions in the data, and so on. We want to be very clear that we do not think that the above approach is the only way to work towards a database in a data-driven project. Design (project design, technical design, interactive design, and so on) emerges from context. Design is also a sequence of choices, and each choice has an opportunity cost based on various constraints that are present in any activity. 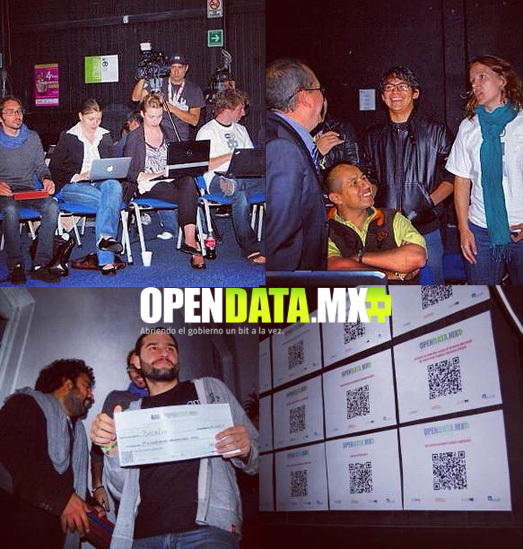 In projects we engage in around open databases, technology is a means to other, social ends. Collaboration around data is generally facilitated by technology, but we do not think the technological basis for this collaboration should be limited to existing consumer-facing tools, especially if such tools have hidden costs on the path to other important goals, like data provenance and reproducibility. Better tools and processes for collaboration will only emerge over time if we allow exploration and experimentation. We think it is important to understand general approaches to working with open data, and how they may manifest within a single project, or across a range of projects. Project work is not static, and definitely not reducible to snapshots of activity within a wider project life cycle. Certain approaches emphasise different ends. We’ve tried above to highlight some pros and cons of our approach, especially around data provenance and reproducibility, and data standards. In closing, we’d like to invite others interested in approaches to building open databases to engage in a broader discussion around these themes, as well as a discussion around short term and long term goals of such projects. From our perspective, we think there could be a great deal of value for the ecosystem around open data generally – CSOs, NGOs, governments, domain experts, funders – via a proactive discussion or series of posts with a multitude of voices. Join the discussion here if this is of interest to you. Today we’re pleased to officially launch Open Knowledge Foundation Labs, a community home for civic hackers, data wranglers and anyone else intrigued and excited by the possibilities of combining technology and open information for good – making government more accountable, culture more accessible and science more efficient. Labs is about “making” – whether that’s apps, insights or tools – using open data, open content and free / open source software. And you don’t need to be an uber-geek to participate: interest and a willingness to get your hands dirty (digitally), be that with making, testing or helping, is all that’s needed – although we do allow lurking on the mailing list ;-) Join in now! Sign up on the mailing list, follow us on twitter or read more about what we’re up to and how you can get involved. While some of you may have noticed we’ve been operating unannounced and somewhat under the radar for some time, we recently revamped the website and decided that it was high time to officially cut the ribbon and open our doors. 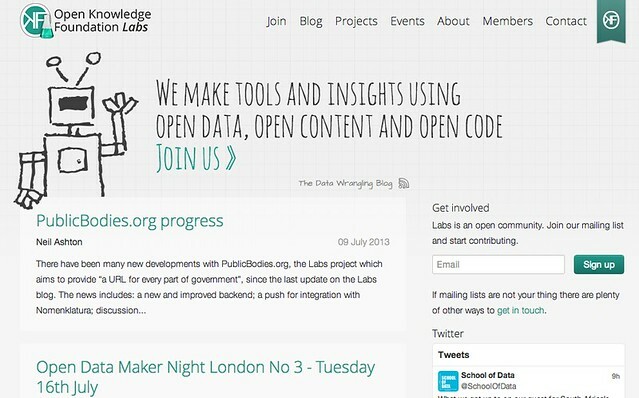 If you’re interested in making things with open data or open content, we hope you’ll come and say hello. Today, when you decide to cook, the ingredients are readily available at local supermarkets or even already in your kitchen. You don’t need to travel to a farm, collect eggs, mill the corn, cure the bacon etc – as you once would have done! Instead, thanks to standard systems of measurement, packaging, shipping (e.g. containerization) and payment, ingredients can get from the farm direct to my local shop or even my door. But with data we’re still largely stuck at this early stage: every time you want to do an analysis or build an app you have to set off around the internet to dig up data, extract it, clean it and prepare it before you can even get it into your tool and begin your work proper. What do we need to do for the working with data to be like cooking today – where you get to spend your time making the cake (creating insights) not preparing and collecting the ingredients (digging up and cleaning data)? The answer: radical improvements in the “logistics” of data associated with specialisation and standardisation. In analogy with food we need standard systems of “measurement”, packaging, and transport so that its easy to get data from its original source into the application where you can start working with it. We have two simple data package formats, described as ultra-lightweight, RFC-style specifications. They build heavily on prior work. Simplicity and practicality were guiding design criteria. 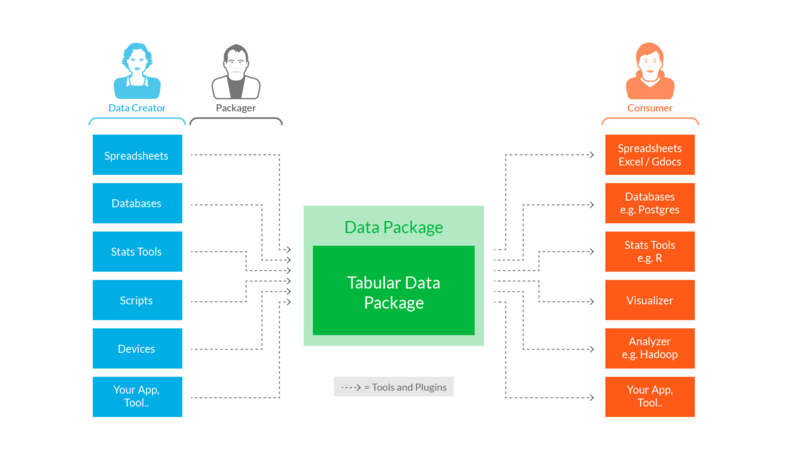 Data package: minimal wrapping, agnostic about the data its “packaging”, designed for extension. This flexibility is good as it can be used as a transport for pretty much any kind of data but it also limits integration and tooling. Read the full Data Package specification. Simple data format (SDF): focuses on tabular data only and extends data package (data in simple data format is a data package) by requiring data to be “good” CSVs and the provision of a simple JSON-based schema to describe them (“JSON Table Schema”). Read the full Simple Data Format specification. This is the first in a series of posts about the power of Small Data – follow the Open Knowledge Foundation blog, Twitter or Facebook to learn more and join the debate at #SmallData on Twitter. The European Journalism Centre and the Open Knowledge Foundation invite you to the Open Interests Europe Hackathon to track the lobbyists’ interests and money flows which shape European policy. When: 24-25 November Where: Google Campus Cafe, 4-5 Bonhill Street, EC2A 4BX London How EU money is spent is an issue that concerns everyone who pays taxes to the EU. As the influence of Brussels lobbyists grows, it is increasingly important to draw the connections between lobbying, policy-making and funding. Journalists and activists need browsable databases, tools and platforms to investigate lobbyists’ influence and where the money goes in the EU. Join us and help build these tools! Open Interests Europe brings together developers, designers, activists, journalists and other geeks for two days of collaboration, learning, fun, intense hacking and app building. Within any political process there are many interests wanting to be heard – companies, trade unions, NGOs – and Brussels is no exception. Corporate Europe Observatory, Friends of the Earth Europe and LobbyControl have begun to data-mine the lobby registers of the European Commission and of the European Parliament to find out who the lobbyists are, what they want and how much they are investing. You will have the exclusive opportunity to work with this data before it is made public in their upcoming portal. What can you do with this data? Group leader: Erik Wesselius is one of the co-founders of Corporate Europe Observatory. In the past few years, Erik has focused on issues related to lobbying transparency and regulation as well as EU economic governance. In 2005, Erik was active in the Dutch campaign for a No against the EU Constitution. Subsidies paid to owners of fishing vessels and others working in the fishing industry under the European Union’s common fisheries policy amount to approximately €1 billion a year. EU Transparency gathered detailed data relating to payments and recipients of fisheries subsidies in every EU member state from multiple sources, from European Commission databases to member state government databases and inter-governmental fishery organizations such as ICCAT. What can you do with this data? Group leader: Jack Thurston is policy analyst, activist, writer and broadcaster. He is co-founder of FarmSubsidy.org, winner of a Freedom of Information Award from Investigative Reporters and Editors. There is a movement growing. 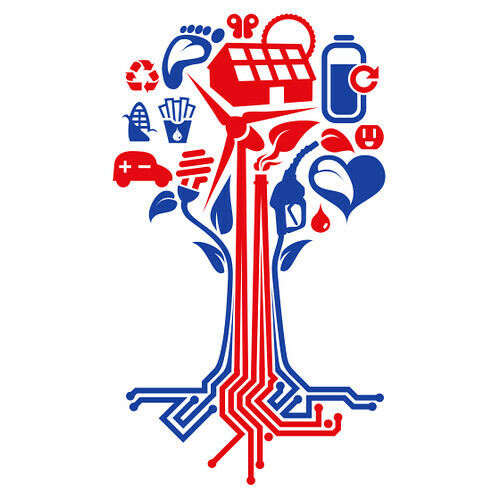 Bit by bit, developers are using the power of the web to make our world more sustainable. Whether by improving the way we travel, the way we eat, or the way we use energy, the web is making a difference. The Cleanweb movement is building a global conversation, with local chapters running hackdays and meetups to get people together. Here in the UK, we’ve been doing this longer than anyone else. Cleanweb-style projects were emerging in 2007, with 2008′s geeKyoto conference bringing together a lot of early efforts. It’s only really appropriate then that we have the most active Cleanweb community in the world, in the form of Cleanweb London. 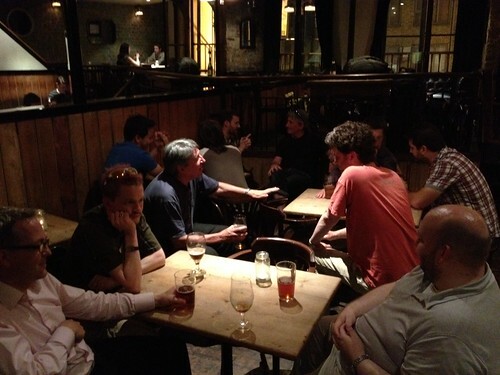 With over 150 members, it’s a great base, on which we’re building a wider Cleanweb UK movement. 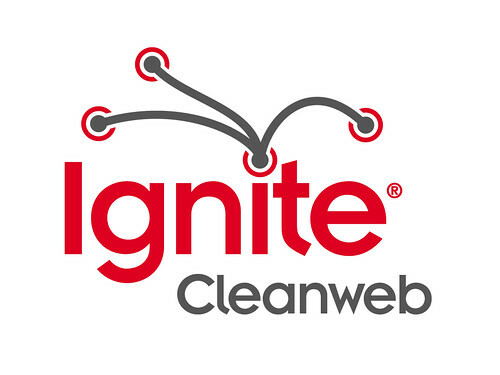 We’ve run a hackday, have regular meetups, and are building towards our first Ignite Cleanweb evening. This is an expanding community, made of many different projects and groups, and one that has a chance to do some real good. If you’d like to be part of it, or if you already are but didn’t know it, come along to a meetup and get involved! Construct a methodology to collectively generate open data from civil society for reuse in data events as well as to demonstrate benefits of government bodies to adopt the practice of generating their data openly. 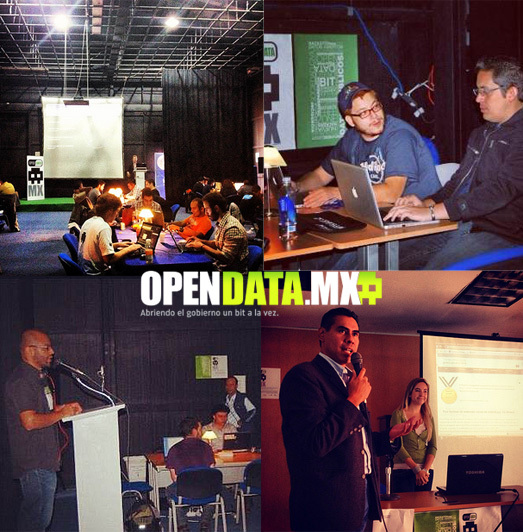 The collective construction of a common database of information and knowledge on the topic of open data through the wiki of OpenDataMx. Photos and content thanks to Federico Ramírez and Fundar. Earlier this week, the SEC voted on the final rules of Section 1504 of the Dodd Frank Act. Global Witness teamed up with the Open Knowledge Foundation to explain what these rules are about, and why they matter. View the infographic ‘Ending Secrecy – Why Global Transparency Rules Matter’ On August 22nd 2012, the U.S. Securities and Exchange Commission (SEC) met to vote on the final rules for Section 1504 of the Dodd Frank Wall Street Reform and Consumer Protection Act. Section 1504 of Dodd Frank requires that oil, gas and mining companies publish the payments they make to governments. These provisions mark a watershed in the creation of global transparency standards, which could help to break the link between natural resources and conflict and corruption. For Global Witness’ analysis of Section 1504 of the Dodd Frank Act, see their blog post. To see Global Witness’ response to the SEC vote on the finals rules, read their initial statement. As part of their campaign, Global Witness teamed up with the Open Knowledge Foundation to communicate to the world why these rules matter. 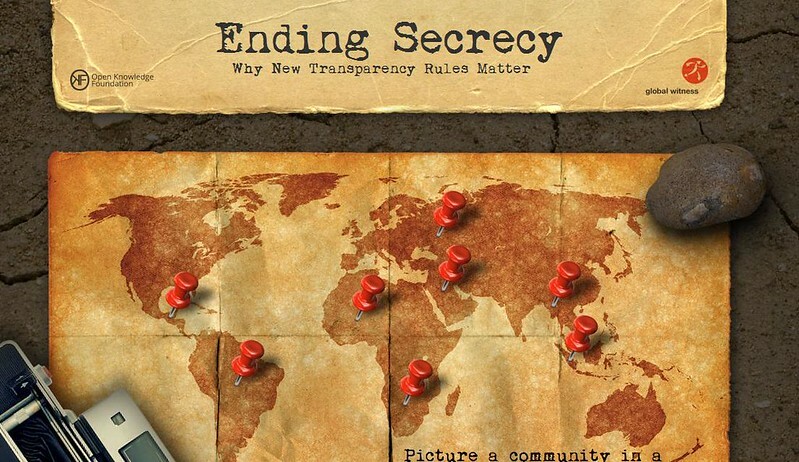 The OKFN Services team put together an infographic, ‘Ending Secrecy – Why Global Transparency Rules Matter’, which helps to explain the need for this legislation, and the impact that the current veil of secrecy has on ordinary lives. 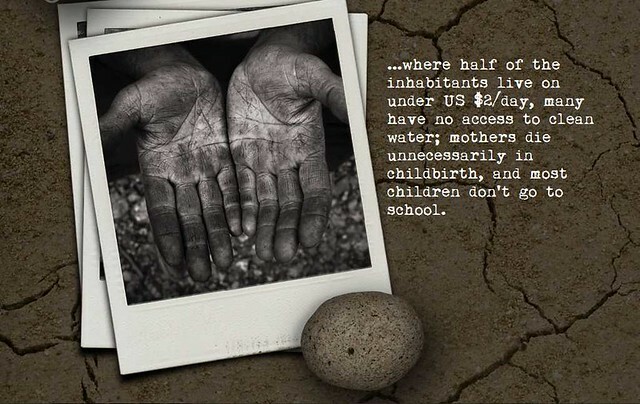 View the full infographic here In many countries, the majority of the population are living in abject poverty. When natural resources are discovered, their situation should change – but often it doesn’t. The natural resources are often sold off to foreign companies. 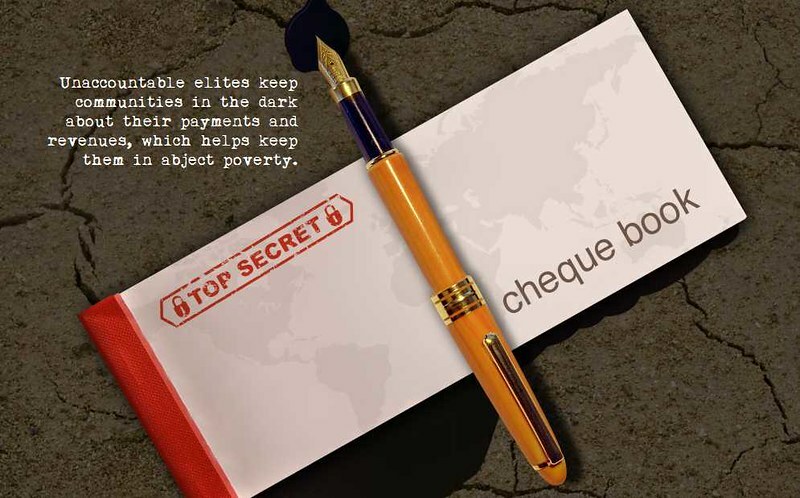 Local communities are kept in the dark. 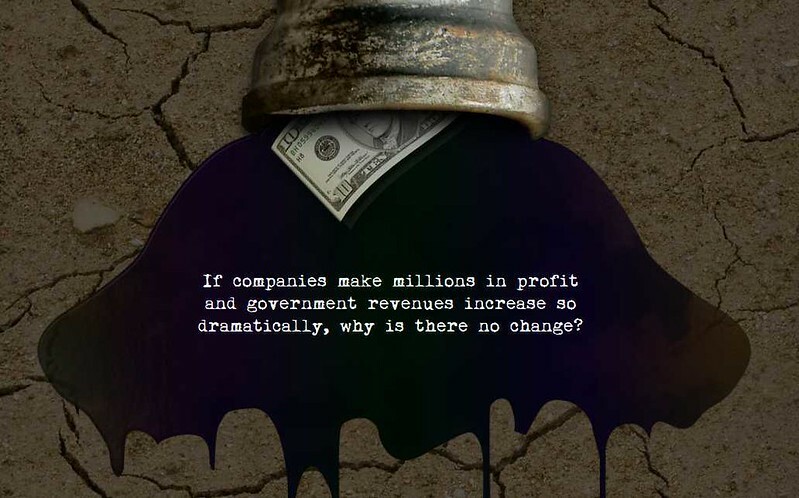 Because there is no transparency around payments, revenues, and the deals that oil, gas and mining companies make with governments, it is much easier for corruption to take place. 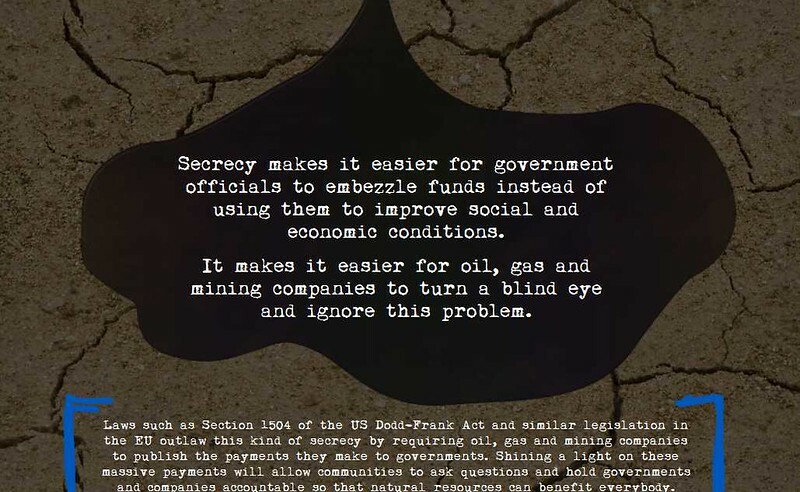 Laws such as those under Section 1504 of the Dodd Frank Act are important because they outlaw this kind of secrecy, by requiring oil, gas and mining companies to publish the payments they make to governments. 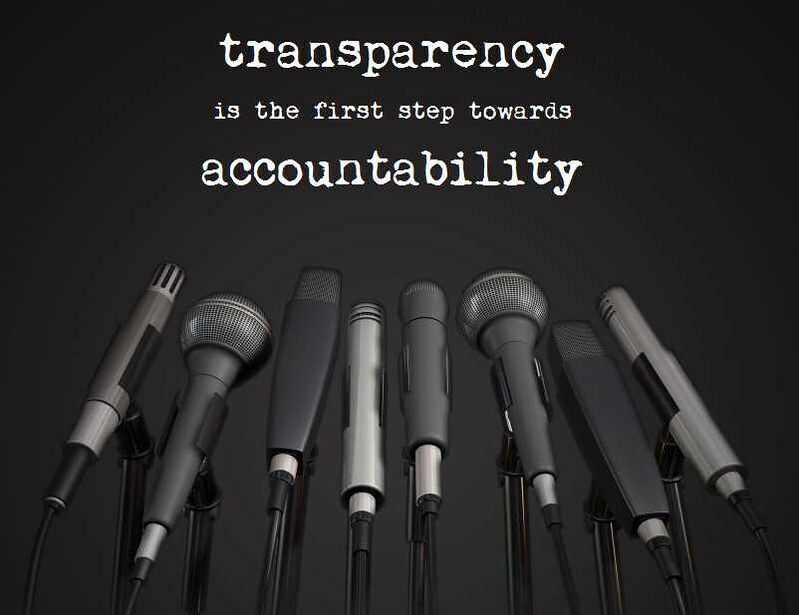 Transparency is the first step towards accountability. Global Witness are still reviewing the final rule text of Section 1504. Their initial response was cautiously optimistic. They said that ‘some aspects of the rule appear to represent a step forward’, and welcomed the decision that companies would not be able to exempt themselves from reporting in certain countries where governments do not want revenues disclosed. However, they noted that ‘the devil will be in the detail’ – not least because the SEC failed to define the term ‘project’, leaving dangerous ‘wiggle room’. See their full statement here. Section 1504 of the Dodd Frank Act is particularly important because the provision covers the majority of internationally operating oil companies, as well as the world’s largest mining companies. The Act is also likely to influence the draft revisions to the European Accounting and Transparency Directives, which, if implemented, would be likely to cover still more companies in the provision to publish details of their payments. If you wish to find out more about small projects and services at the Open Knowledge Foundation, please visit Services.